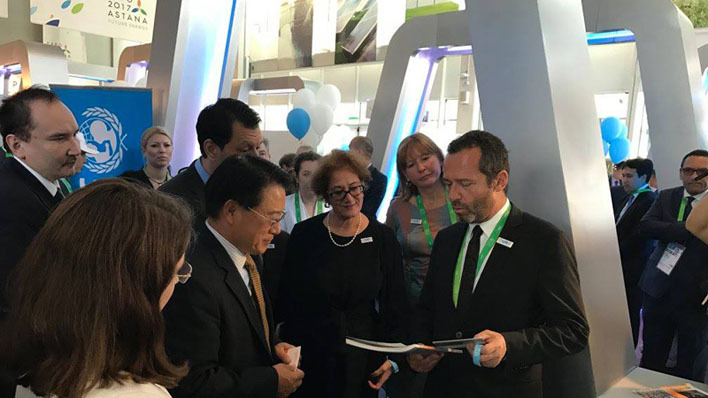 The Universal Exposition 2017 on the theme Future Energy officially opened in Astana, Kazakhstan on 10 June, bringing together people and ideas from around the globe for three months. 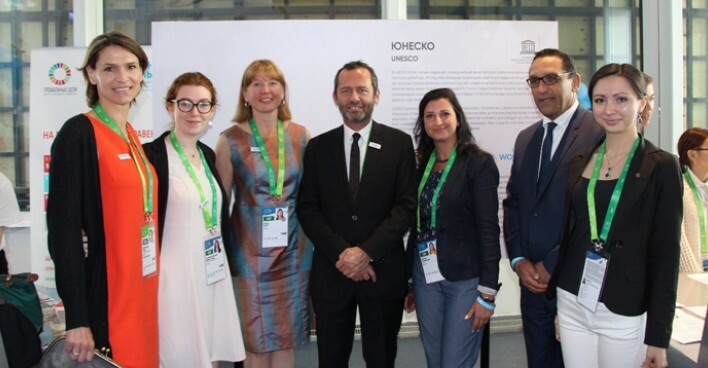 UNESCO is engaged in the “EXPO” through various elements. The Organization holds a booth in the International Pavilion with digital material on energy related projects like school electrification in Western Africa and printed scientific publications to explain UNESCO’s role to visitors. Xara Bennett-Jones from DPI together with two volunteers offer a public information service to the visitors on UNESCO’s activities in the area of sustainable development. The organizers expect 2 million visitors over the 3 months. Osman Benchikh, UNESCO expert and former colleague is also participating, taking part in significant side events and moderated discussions in UNESCO scope of action. This presence is made possible thanks to the organizers support and with the critical assistance of the UNESCO Almaty Office. 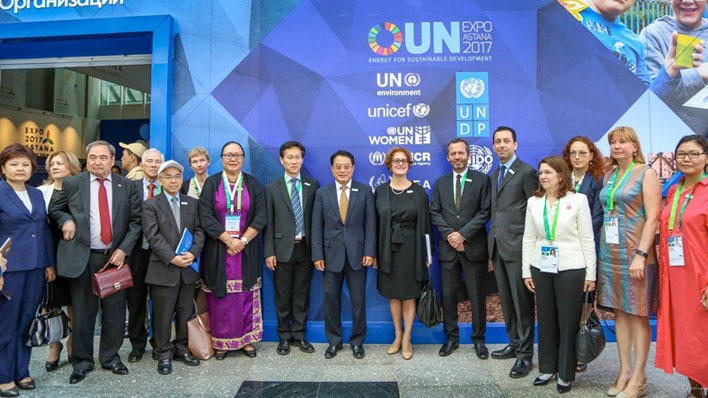 The UN Day organized on 12 June was an opportunity for Eric Falt, ADG/ERI, to inaugurate and deliver a welcoming speech together with Ms Cihan Sultanoglu, UNDP Assistant Administrator and UN Commissioner-General for Expo 2017, next to Krista Pikkat, new Director of Almaty Office. Ms Bokova will attend the closing ceremony on 10 September.